Have a drink with Poldi and enjoy her island – Joyce's mystery and fiction book reviews with some non-fiction too! 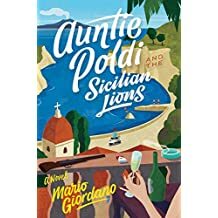 Fans of Andrea Camilleri and Donna Leon may well enjoy this mystery featuring a woman of a “certain age” who moves to Sicily. Enjoy the setting, the views and watch what happens to Auntie Poldi as she gets involved in solving a mystery. The book is narrated by Poldi’s nephew who is an aspiring author. Each chapter begins with an italicized summary. This book was not compelling but was a fine read.